Are you looking to replace your windows? Do you live in the Quad Cities? Then, this article is for you. The Quad Cities have gained more and more people over the years making it one of the top 100 Combined Statistical Areas (CSA) in the United States of America at almost a half a million people. This means that more and more households are in need of window replacement. Read on for an extensive guide to helping you with all your window needs. Replacing windows in your home has a lot of benefits There are plenty of options when picking the right windows for you. Customization has come a long way with replacement windows that include design, style and building options. This might seem like a chore for some, but for others, the freedom of picking the right window is invigorating. In the end, you could save money from heating and cooling bills because your windows will keep everything inside the home. Consider some of these window choices when looking for replacement windows in the Quad Cities. Sliding windows have more of a modern feel to them. They’re constructed with 2 and 3-section sliders to open the windows wider than ever before. Cleaning is a breeze with sliding windows because the sashes can be removed easily. Over time, you won’t have to worry about upkeep because there are minimal moving parts that need replacement. Screens are easy to put into these windows, keeping fresh air in your home and bugs out. The most popular windows on the market today have to be double hung. This window style is liked by many customers – it’s the most popular option available. With two sashes, double hung windows can be tilted for easy air access. Also, this makes cleaning a breeze, and you don’t even need to use a ladder. No matter if you’re ground level or three floors up, double hung windows can be reached and rejuvenated in no time. With the two sashes on double hung windows, expect a calm breeze to come through because you can lift the windows up or down. Are you concerned about safety when purchasing new windows? Then, check out the interior locks that double hung windows have. If you still want ventilation and safety at the same time, you can lock how far your windows can open, to prevent intruders from entering your home through a window. If you want a scenic view for everyone in your household, then consider picture windows for your home. These windows offer the best of both worlds with a great view and energy saving technology. People who purchase these windows are looking for the most natural light a window will allow to enter their home. Living rooms, kitchens and family rooms most commonly use picture windows. Do you want control over your windows? If so, the casement window may be for you. Hand cracking opens and closes these windows effectively. To open, simply turn the handle counter-clockwise and to close, turn the crank clockwise. 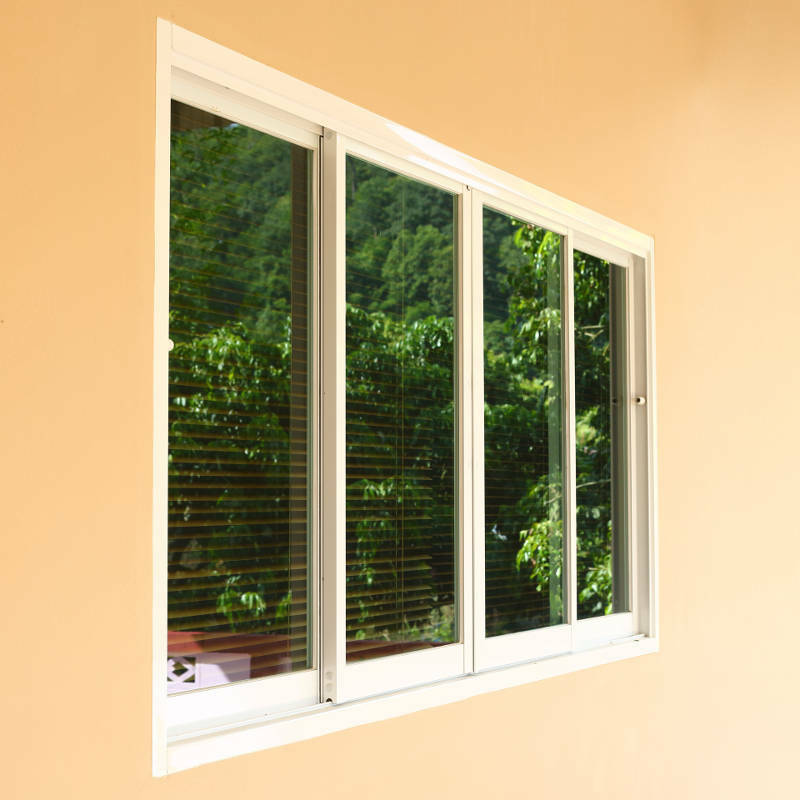 This manual handle is not hard to operate and smoothly brings fresh air through your window. Another fantastic feature with the casement window is that the frame will never interrupt blinds that hang over your window because the handle lays flush against the frame. With the manual crank, you’ll be assured natural light and fresh air for each room that has a casement window. Normally, casement windows can be found in kitchens or rooms that are difficult to have windows in. If you’re looking for a little more light over your picture or casement windows, then think about adding a couple evenly sized windows of the bay and bow variety. Natural light enters a room from different perspectives with these windows. A lot of times, you see these windows in a living room, overlooking the front yard. 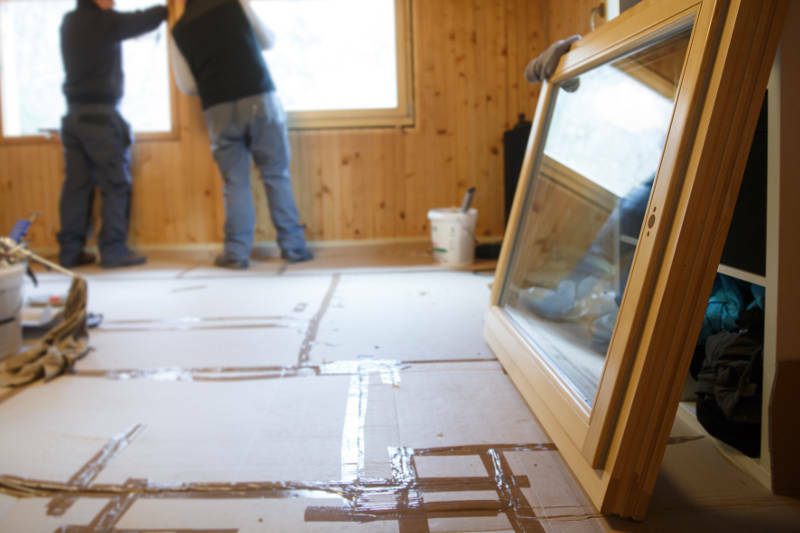 Choosing the right replacement window material is crucial for your home. Vinyl is the most popular option because they won’t scratch or rot when exposed to moisture. Also, vinyl is a very affordable material that holds up over time, so people really enjoy its durablity. Wood is the next common material of replacement window. Natural beauty really comes out when wood is installed. However, with a high cost, extensive maintenance and less energy efficiency than vinyl, it’s no wonder its popularity has declined over the years. Lastly, fiberglass and aluminum are also used in the installation process. Fiberglass is the tougher of the two and, in terms of cost, fits more in the middle against other replacement options. Wood options are also available in fiberglass, so that it looks like the real deal. Aluminum is probably everyone’s last choice. Sure, it’s inexpensive, but aluminum does not insulate well, so don’t expect any cheaper heating or cooling bills. Both aluminum and fiberglass windows aren’t nearly as energy efficient. Aluminum is such a great conductor of heat that during the summer it will be hot to the touch and that heat will spread throughout your home. Fiberglass, on the hand, has no insulating properties and your home will be uncomfortable no matter the season. To top it off, they’re both more expensive. That just doesn’t seem right – pay more to spend more on your energy bills. It’s best to stick with vinyl windows in the Quad Cities. If getting new windows in your home is a priority and having a business install them is important, then you should spend some time researching professional window installers. Look for a company who has been around for over 10 years and has been trusted by many other homeowners. Also, when picking a window installer, think about these things, too. First, are you comfortable with the company you’re choosing to install your windows? Secondly, what kind of choices does the company offer? Do you feeling like you have a say in the process instead of the business just telling you what you should do? Also, are their customization options that”l help your home stand out from the rest in your neighborhood? You don’t want your windows to look like everyone else’s home. – you want your home to be unique. Some of these customizable pieces include different sizes, better energy efficiency and styles. Finally, is the business you’re considering certified and legal to install windows? Look for certifications like Energy Star, and make sure they finish the job right. Remember if the price is cheap for installation, don’t bank on the fact that the job will be done right. Sure, that should be expected, but businesses don’t always follow through with what they say. If you need replacement window in the Quad Cities, look no further than Feldco – we check all the boxes you’re looking for. We offer premium vinyl windows that are perfect to handle the weather in the Quad Cities. They’re also installed by factory trained and certified professional to ensure a great fit and look every time. With 40 years of experience and over 350,000 satisfied customers, what more could you want? Get a free quote now and start on your replacement window project today.